Lafooco, a member of The PAN Group and one of the leading cashew nut traders in Vietnam, has become one of the first two Vietnamese firms to be granted the USDA Organic Certificate and the EU Organic Certificate for sterilised cashew nuts. This event brings Vietnamese cashew in general and Lafooco’s cashew nuts in particular closer to consistently pursue their sustainable development journey. Bu Dang, a small isolated village located in Binh Phuoc province has been the home of the Xtieng ethnic group for decades. The locals still manually cultivate the land without the use of pesticides, and leave the soil in a pristine condition, however, their incomes are insecure and still low compared to the rest of the country. Due to their simple cultivation practices in the basalt red soil and ancient silt, the Xtieng have kept the soil pristine, free of degradation and pollution by pesticides. This is “rare to find” as many of the contry’s localities have been commercialised and are using chemical fertilisers and pesticides. According to Lafooco’s experts, the preservation of the “original” soil is a prerequisite for agricultural enterprises to choose to deploy organic material areas. Although the demand for organic products is potentially large, not all companies are competent and patient enough to implement projects because it consumes a great deal of time and manpower. This work requires a lot of effort throughout the process, from plantation control to care, harvesting, and processing. For example, the transmission of messages and knowledge which are standardised globally from the documentation of care and exploitation of organic products to local farmers is a feat. Besides regular inspections, Lafooco’s experts also work hand-in-hand with farmers. Instead of using insecticides and herbicides that harm the soil and the environment, Lafooco’s experts encourage farmers to use grass mowers and manure. After all, the most important thing is to secure their incomes by selling organic cashew at higher prices than common cashew. After its continuous efforts in the past several years, Lafooco harvested its first crop in the first quarter of this year. After the harvest, foreign experts collected samples of Lafooco’s organic cashew nuts to bring to a world-class laboratory in the Netherlands and evaluate its quality based on standardised criteria. As a result, by surpassing international quality standards, Lafooco was granted the USDA Organic Certificate and EU Organic Certificate for its organicsterilised cashew nuts. Another happiness for Lafooco was seeing the smiles of the Xtieng famers when they received the price of the raw organic cashew nuts they produced, which fetched far more than general cashew nuts. According to its plan, Lafooco will be able to export its organic products to numerous markets across the globe and the target customers of this product are between 24 and 58 years of age with high incomes. Given its limited supply, the company will focus on the European markets with Switzerland, Netherlands, Belgium, Germany, France, and Denmark, which are known for their strict food quality requirements. Besides, Lafooco has set eyes on the US and Canada, and Australia as well as other markets like Dubai and Hong Kong. Lafooco’s organic cashew nuts are expected to be distributed through large-scale retail systems and supermarkets in these countries. Besides, the company may consider putting its organic cashew nuts on sale on various e-commerce sites. Lafooco’s achievement is expected to contribute to realising Vietnam’s target of exporting $10.5 billion worth of cashew nuts by 2030. 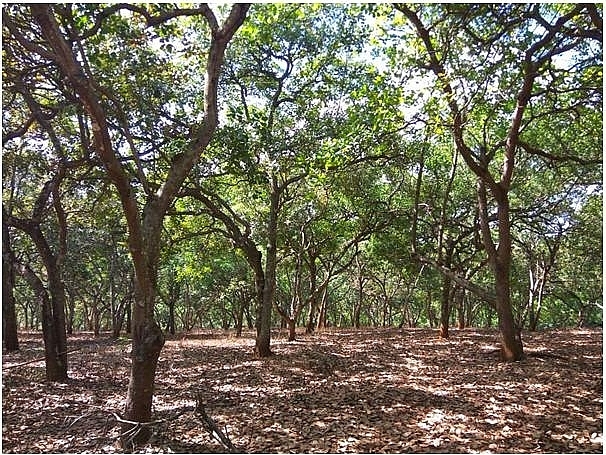 This is one of the targets set out in a project to restructure the Vietnamese cashew industry, intended to increase added value and to promote sustainable development until 2025, with a vision to 2030, which was recently submitted to the Ministry of Agriculture and Rural Development (MARD) by the Vietnam Cashew Association (VINACAS). According to VINACAS, since 2006 Vietnam has been the largest cashew exporter in the world, making cashew one of its key farming products with an export turnover of more than $1 billion since 2010. Vietnam exported $3.62 billion worth of cashew nuts in 2017, the highest value recorded so far, while maintaining its 60 per cent share of the total global cashew nut export revenue (about $5.5 billion) and remaining the market leader in cashew nut processing and exports. Lafooco is currently among the top cashew nut traders in Vietnam, exporting almost 80 per cent natural nuts and 20 per cent roasted nuts to many different markets in the US, Europe, China, Australia, and the Middle East. In September 2017, Lafooco’s products were recognised for being present in two top supermarket chains and about 100 convenience stores throughout Hong Kong. As a member of PAN Group with a vision to export Vietnamese products overseas, Lafooco expects to expand its nut porfolio with other healthy nuts and nut snacks in the near future. Lafooco’s achievement of growing organic cashew nuts has continued to reaffirm the sustainable development commitments of PAN Group. “Lafooco will continue to purse its dream of bringing Vietnamese cashew nuts to the world and expanding the distribution network of local cashew nuts, while simultaneously maintaining its position as the pioneer to re-plan the material areas of organic cashew in our country,” shared the management team at Lafooco.